Momentum’s offering for Labour party conference will see a host of key MPs and thinkers joining the Corbynista group for their fringe events. The September edition of the World Transformed festival will take place across the four days of conference in Brighton, and is expected to attract 6000 visitors to events in nine venues across the city. Shadow chancellor John McDonnell, shadow health secretary Jonathan Ashworth, shadow home secretary Diane Abbott and new Kensington MP Emma Dent Coad will be amongst those attending. Laura Pidcock, the new North West Durham MP, and Norwich South’s former front bencher Clive Lewis will be there. Former deputy prime minister John Prescott and Baroness Shami Chakrabarti will also be at the event. 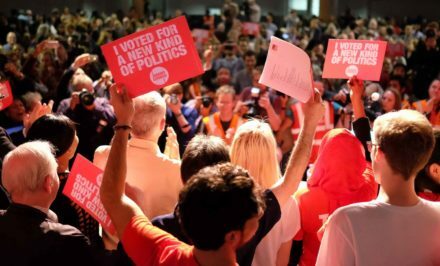 Journalists Owen Jones, Abi Wilkinson and Rachel Shabi will go to the Momentum event, and will be joined by hip hop artist and activist Lowkey, Bernie Sanders campaigner Winnie Wong and author and environmentalist Naomi Klein. Former LabourList employee Maya Goodfellow will speak on a panel with Dawn Butler, Ruth Ibegbuna and Owen Jones, discussing how Labour can heal the divides of Brexit.